Kids off school? 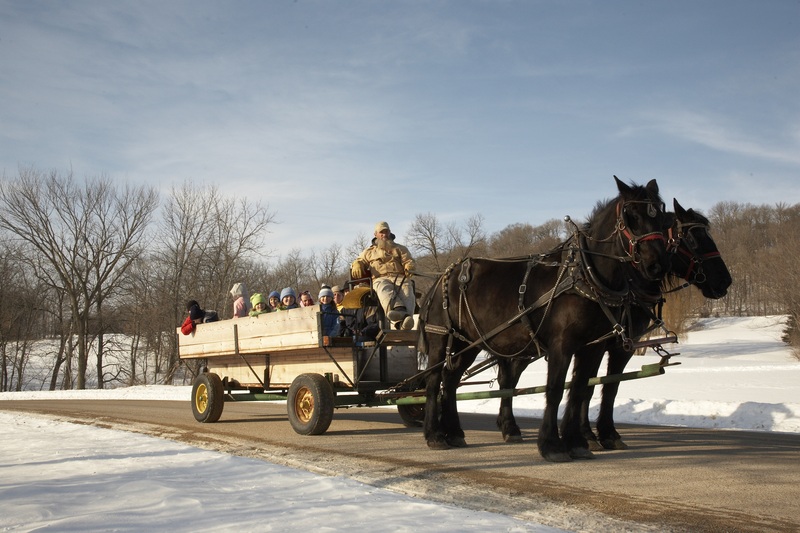 Banish the boredom before it ever starts by booking a family vacation full of fun and activities at Eagle Ridge Resort & Spa in Galena, Illinois, just two-and-a-half hours away from Chicago. Kids off school? 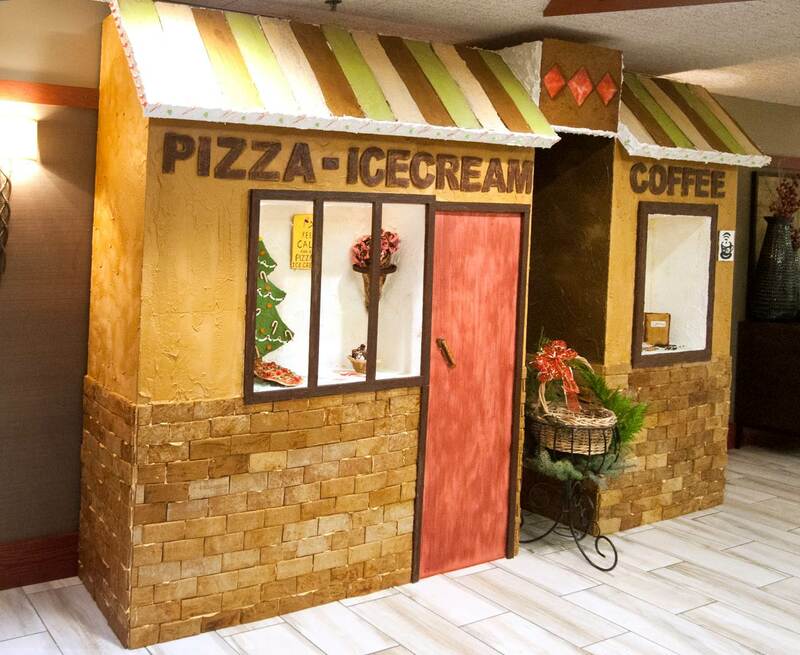 Banish the boredom before it ever starts by booking a family vacation full of fun and activities at Eagle Ridge Resort & Spa (http://www.eagleridge.com) in Galena, Illinois, just two-and-a-half hours away from Chicago. Specific events and activities are below. More details, dates and rates can be found at http://www.eagleridge.com. New faces are welcome to join the more than 800 guests who celebrate at Eagle Ridge Resort & Spa every year at the Annual Thanksgiving Day Feast, one of the largest communal Thanksgiving dinners in the U.S. Choose from more than 40 delectable dishes plus a delicious selection of traditional Thanksgiving pies and desserts, or book a “mobile feast,” when you stay at the resort. Pilgrims will deliver a complete turkey dinner that serves 8-10 adults and includes accompaniments and dessert. Without having to prepare or clean up from a feast, families can also relax and start the holiday season with a fun-filled line-up of kids’ activities. From a meet and greet with Santa to a Travel Buddy Workshop along with Candy Bingo, and the amazing Jim Wand Hypnosis Show on Nov. 25, this weekend is the perfect prelude to the holiday season. Guests who visit the Nordic Center at Eagle Ridge can try something new or participate in their favorite winter sport, including cross-country skiing among more than seven miles of trails, sledding, and skating on the one-acre skating pond. More off-the-beaten-path fun is led by Nordic Center professionals, who take guests on twilight snowshoe hikes and organize broomball games and trips to local distilleries and wineries. They also teach skijoring, where guests’ dogs are attached to owners with a towline and pull them across the snow. Don’t be caught off guard when the kids get another day off in February. 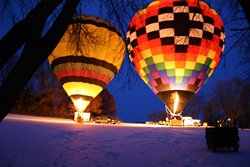 Balloon glows and turkey bowling are just a few of the activities at the 2018 Winter Carnival at Eagle Ridge Resort & Spa. In addition to skating, snowshoeing and cross-country skiing available through the Nordic Center, activities also include two Fire and Ice Winter Glow shows with bonfires, broomball, snow art, Putt Putt Ice and Snow Golf and the Ice Bar, serving up cold drinks and warm chili. Everyone can play inside as well, with activities like giant chess and checkers, ping pong, arts and crafts, bag toss games, or swimming time in the heated indoor pool. Guests can also relax at the luxurious Stonedrift Spa and at Eagle Ridge Resort & Spa’s award-winning restaurants. Winter events book quickly. For more information, packages and rates, visit http://www.eagleridge.com. Eagle Ridge Resort & Spa Resort & Spa is located 150 miles west of Chicago within The Galena Territory, a 6,800 acre recreational, residential and resort community six miles southeast of the historic town of Galena, Ill. The resort’s grounds include 63 holes on four award-winning golf courses, and accommodations that range from quaint Inn rooms to more than 250 villas and distinctive homes. Eagle Ridge Resort & Spa has 15,000 square feet of state-of-the-art meeting space and beautiful conference homes which regularly accommodate corporate groups, banquets and weddings. Other features include award-winning restaurants, the tranquil Stonedrift Spa, and an incredible selection of outdoor activities including miles of biking, hiking and horseback riding trails, as well as tennis, hot air balloon rides, boating and fishing on the picturesque 225-acre Lake Galena. For reservations or additional information, call (800) 892-2269 or visit http://www.eagleridge.com.